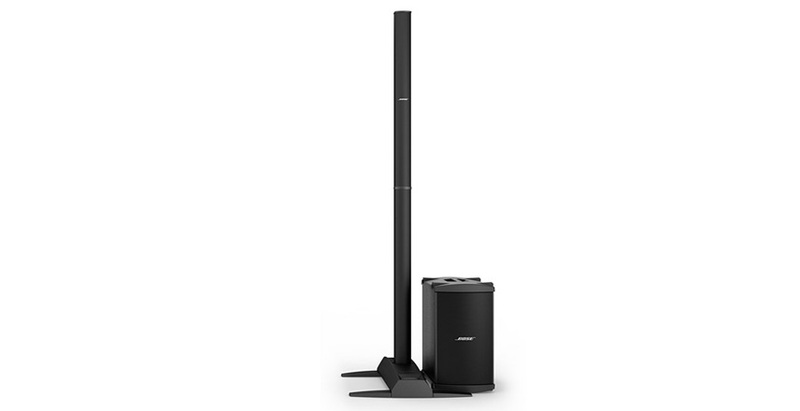 L1 Model II with B2 Bass, Powered PA Speaker Cabinet from Bose in the Live Sound series. Being a satisfied user of the L1 model 1 (two L1 systems with two B1 each at the mixer’s out), I switched to this model II with a B2 for each. - No possibility to mix 4 ins without Tone match like with the model I. A jack in, and this is it. Not a problem for me as I do the mix before, at home. - No more column locking system (at its base and between both), so it’s more sensible in case someone would inadvertently push it. - The B2s: a real change! Didn’t try the “-” mode but standard mode offer at least as much volume as a B1 but wider, and you start to feel the physical effect of the low frequencies – something which almost didn’t happen with the B1s. In “+” mode the bass level is getting serious, yet a little less accurate (which may still be fine for some kinds of music or DJing, but for rock I still have to try it in a live situation). Anyway, finally the kick really kicks…! Always clean and accurate, almost hi-fi, the different instruments sound distinct. True to the concept of this PA, the sound very slowly decreases with the distance (you can stand 3 ft away without getting too much right in the face, even at high volume). 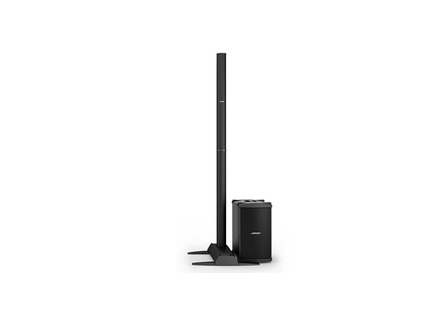 Very easy to set up, transport and equalize, it sounds well easily and the sound is not too much distorted when listening from the side or move. It’s not too much feedback-prone either. In a nutshell, it’s almost a dream system for a 150 to 300 attendance (with two L1/B2). Others tell me it can work for way bigger crowds… I didn’t have an opportunity to try so won’t take a stand on this. I never needed a stage monitor so far. Of course, not needing it doesn’t mean it wouldn’t be a little more comfortable using one, but you really can do without for at least, this way, there’s no feedback problem at half-power with the vocalist’s mic 7ft from the columns (using Sennheiser e855 and e945 dynamic hypercardioid microphones). The bass are getting really good! I believe model 1 users should only switch to model 2 if they need more low end presence (drummer, full band to mix, possibly a synth although it’s my case and it’s not really a necessity for that). For the record, the B2s can be used on a model 1 after upgrading the system (through Tone match or at your retailer’s), but it’ll only work in “normal” mode (no – or + mode).